The Global Lounge was opened in April, 2017. The lounge is located on the opposite side of the International Exchange Office on the 5th floor of the Welfare building on Nagoya Campus. The lounge helps students to learn foreign languages, promote cross-cultural exchange between students and instructors and to improve presentation skills in other languages. The lounge also offers a variety of international exchange events as well as valuable resources for foreign language study and study abroad programs, Please come to the Global Lounge and have fun. ※ The Global Lounge is closed on university holidays. Also, the lounge can be closed without prior notice in cases of natural disasters or other public emergencies. ※ The opening days and hours may be changed depending on various circumstances. 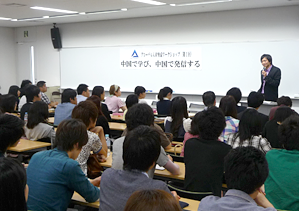 In April 2013, Aichi University opened up its first overseas office at Nankai University in Tianjin, China. 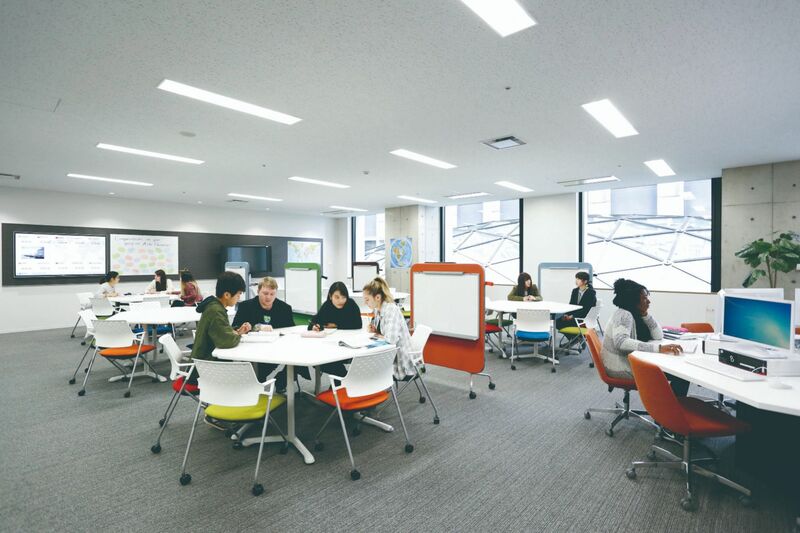 The office plays host to our China-based Sakura 21 Resource Center, a repository which offers students access to books, DVDs and other resources on Japanese culture. The center is frequented by Chinese students studying at Nankai University, looking to develop their understanding of Japanese culture. Outside its Sakura 21 operations, the office functions as an administrative base for Aichi University's double degree program with Nankai University, offers both academic and personal support to Aichi University students who are studying in China, and is responsible for the production of the semi-regular Aichi University Tianjin Office Newspaper. For 2015, we are currently assessing the possibility of the establishment of another China office in the Shanghai area. While sending students overseas to study plays an important part in cultivating globally aware individuals, we also feel it is important to increase the presence and opportunity for interaction with foreign students within our university environment. In 2014, we will introduce a new Japan-based fieldwork program for foreign students, similar in concept to the China Fieldwork Program, which has long been a hallmark of the Faculty of Modern Chinese Studies' curriculum. 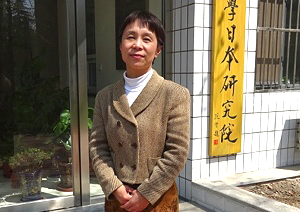 Students from the Faculty of Modern Chinese Studies will accompany visiting students in carrying out fieldwork at a variety of Japanese companies and other locations. The visit will culminate in a symposium, where students will give presentations on their findings. This program will also serve as an introductory exercise for students who plan on participating in the summer China-based Fieldwork Program. Interaction with the visiting students will serve as an excellent opportunity for students to reinforce their Chinese language ability, deepen their understanding of Chinese culture, and help them get to grips with conveying Japanese culture to a foreign audience. In order to raise awareness in our students on the necessity of equipping oneself with the skills to be an active member of global society, we have invited a number of internationally prominent individuals to deliver guest talks. A large-scale symposium is held once annually, complemented by several smaller scale workshops held throughout the year. 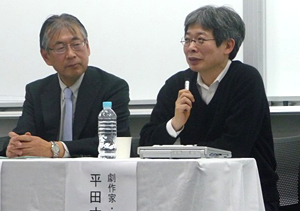 We had the honor of receiving Oriza Hirata (a renowned Japanese playwright and director) as a guest speaker in December 2012, and former South Korean Prime Minister Kim Hwang-sik as a guest speaker in April 2013. Both speakers gave enlightening talks on the topics of international communication and what constitutes a global human resource. 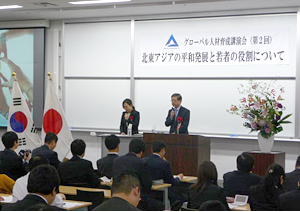 Furthermore, in November 2013, we invited Akihiro Tanaka (President of the Japan International Cooperation Agency) to deliver a talk and lead a symposium on the topics of international cooperation and diplomacy. In addition to the above symposiums, we also invited a number of guest speakers to put on workshops for our students. 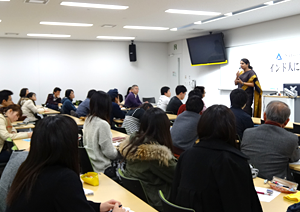 In 2013, guests included: Yoshikazu Kato, (also known as "the most famous Japanese person in China"); Masamichi Inoue (University of Kentucky), a scholar who has spent 20 years carving out a career in the American academic world; and Kshipra Potdar, an experienced Indian businesswomen with an in-depth knowledge of how India is facing up to the challenge of providing its youth with a "global education". Oriza Hirata giving his thoughts on what constitutes a "global human resource"